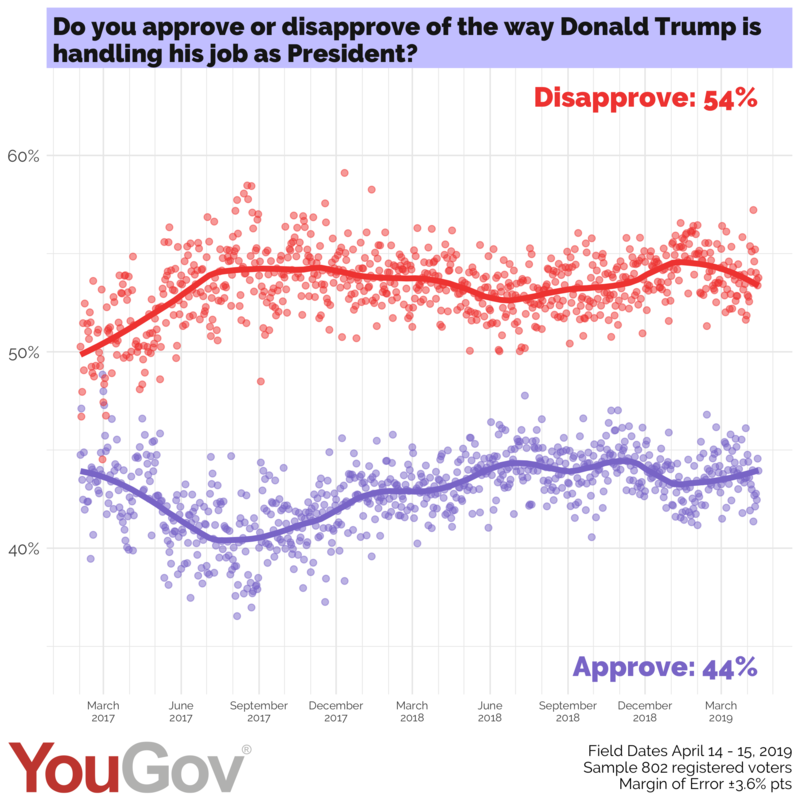 April 15, 2019, 11:00 p.m.
After asking about President Trump&apos;s job performance, YouGov asks panelists to rate tweets originating from the President&apos;s personal twitter account. Please note that as part of the survey process, panelists view static images of the actual tweets, not the transcriptions of the tweet texts presented in the results. Sometimes, President Trump uses more than two or three tweets to continue a longer message. On those occasions, panelists view and rate the complete tweet thread as a whole. 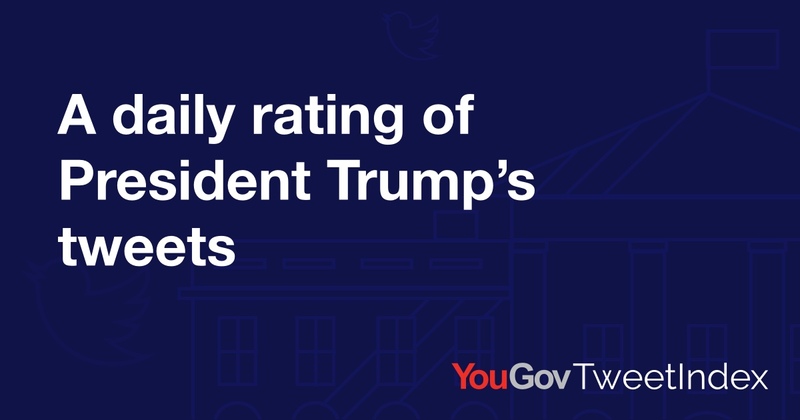 You can review the history of our ratings of President Trump&apos;s tweets back to February 2017 on our YouGov TweetIndex.